Today, Invest in the USA, the national not-for-profit trade association of the EB-5 Regional Center industry, sent a letter to the U.S. Citizenship & Immigration Services (USCIS) regarding Regional Center data published on its website. On or around June 19, 2017, USCIS made publicly available via their website the approval and denial statistics for forms I-526 and I-829 for each individual EB-5 Regional Center from 2014 through May 31, 2017. It became immediately apparent to IIUSA through interactions with its membership that the data presented by USCIS was deeply inaccurate and needed to be removed until the discrepancies were rectified. As of June 27, the incorrect data was removed from the website. “Given the inconsistency between the USCIS data and Regional Centers’ track records, USCIS needed to remove this information immediately from its website until it has taken the necessary steps to confirm all data with Regional Center records and rectify discrepancies,” said Peter D. Joseph, IIUSA Executive Director. Data reports on USCIS adjudication trends about I-526/I-829 petitions and I-924 applications; and more. Because it matters how this information is subsequently released, IIUSA has diligently developed a process by which we collect this data, break it down, painstakingly analyze it and ultimately disseminate it, but not without first seeking input from stakeholders. In this spirit, IIUSA’s letter to USCIS also requests a detailed explanation of the process it undertook for data integrity before releasing this information. Data inaccuracies in this capacity can, did, and continue to have immediate negative ramifications on individual businesses that are seeking to bring much needed economic development to communities around the country through the EB-5 Program. IIUSA encourages potential investors and other stakeholders to disregard the previously reported approval and denial statistics for forms I-526 and I-829 for each individual EB-5 Regional Center from 2014 through May 31, 2017 due to its inaccuracies. IIUSA stands ready to assist USCIS in creating an open and transparent environment complete with data integrity on all aspects of the EB-5 Regional Center Program. IIUSA’s full letter to USCIS can be found here. 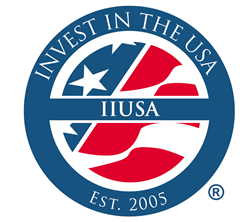 Founded in 2005, IIUSA is the national not-for-profit trade association for the EB-5 Regional Center industry with a mission of advocacy, education, industry development, and research. The organization represents more than 240 Regional Centers and 180 Associate members, collectively representing big and small projects, urban and rural economic development, and industry sectors ranging from real estate and manufacturing to energy and infrastructure. IIUSA’s members are engines of economic growth and job creation, accounting for a vast majority of capital flowing through the Program. Learn more at IIUSA.org.